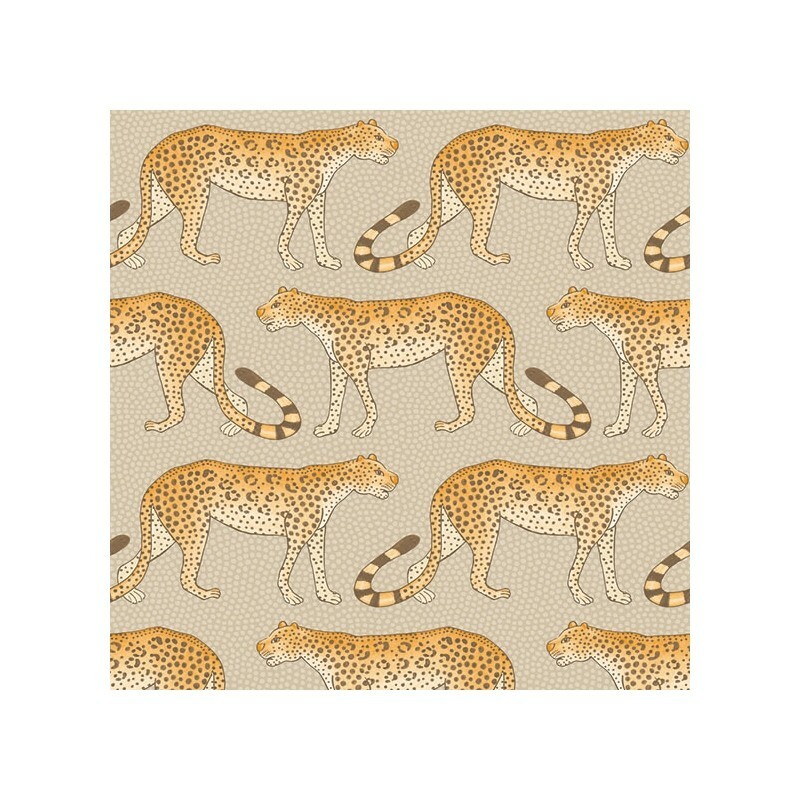 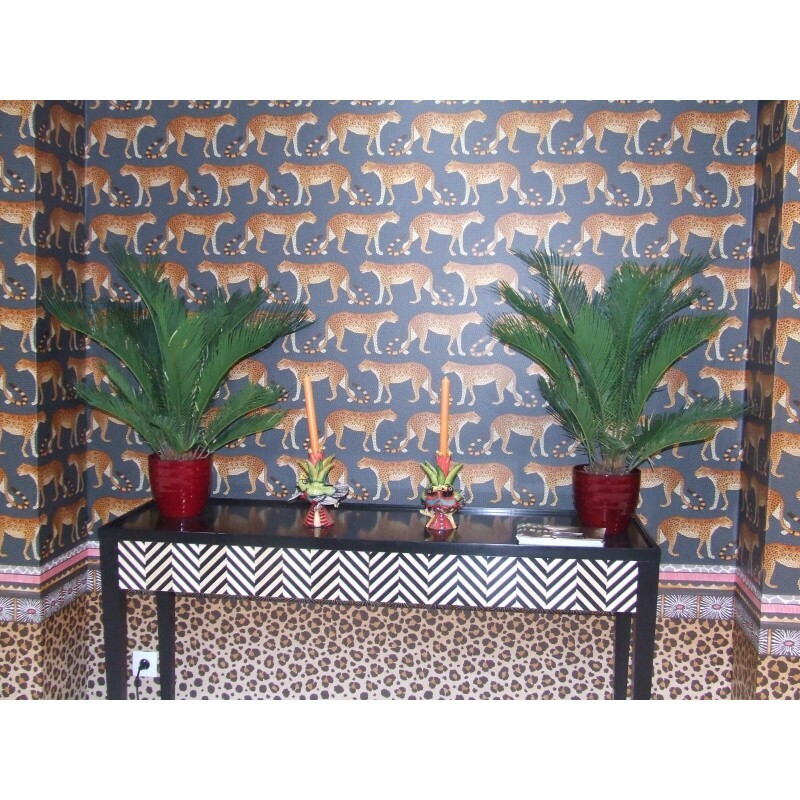 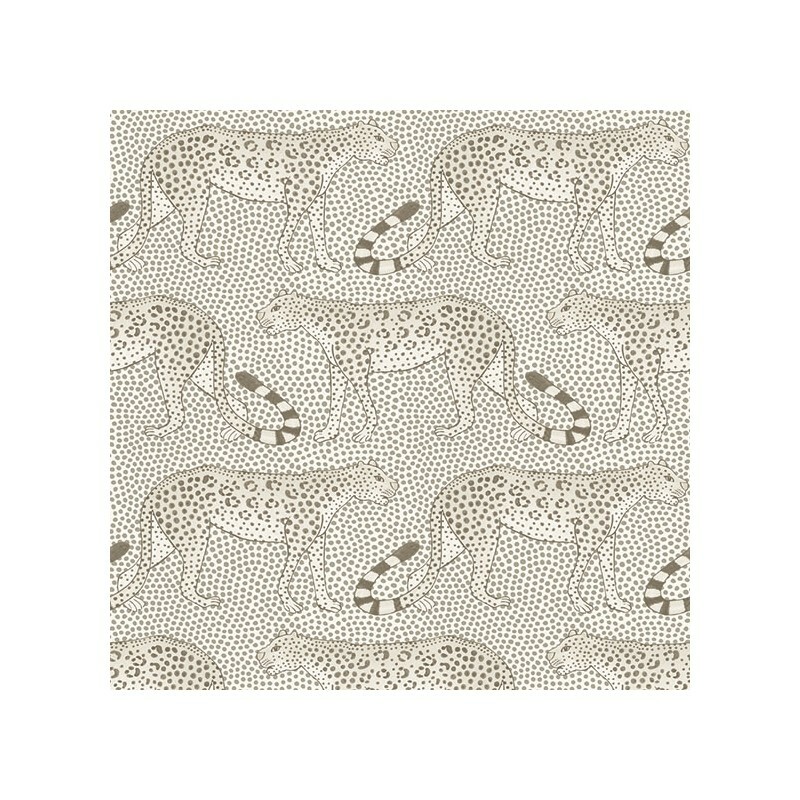 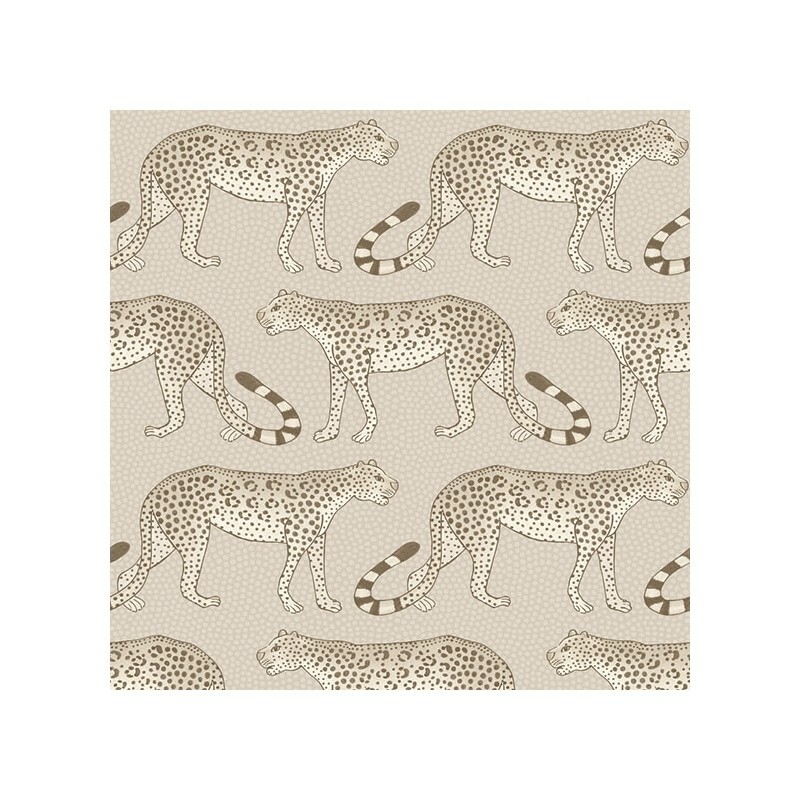 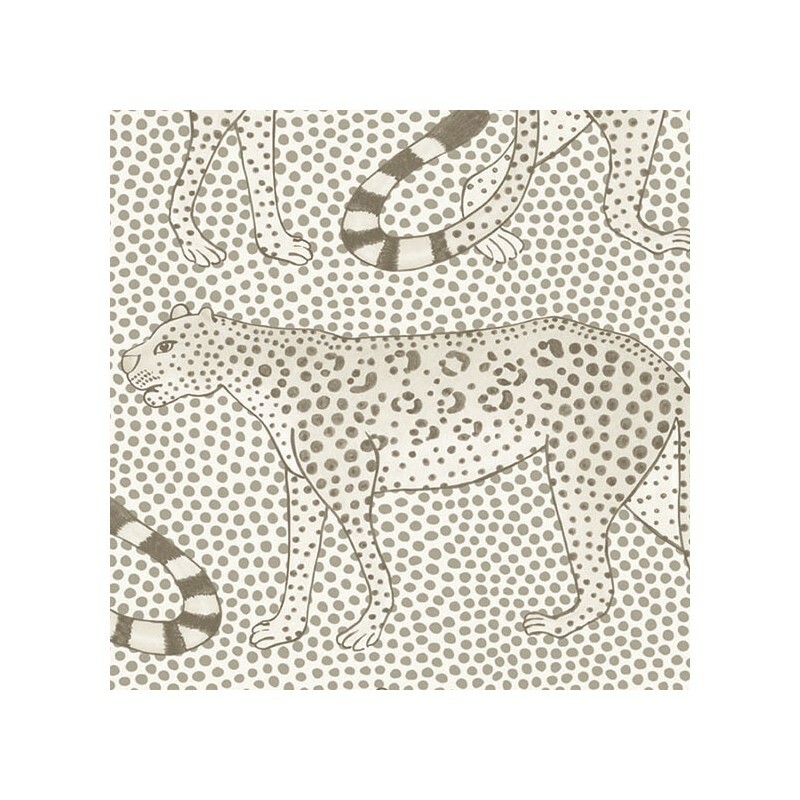 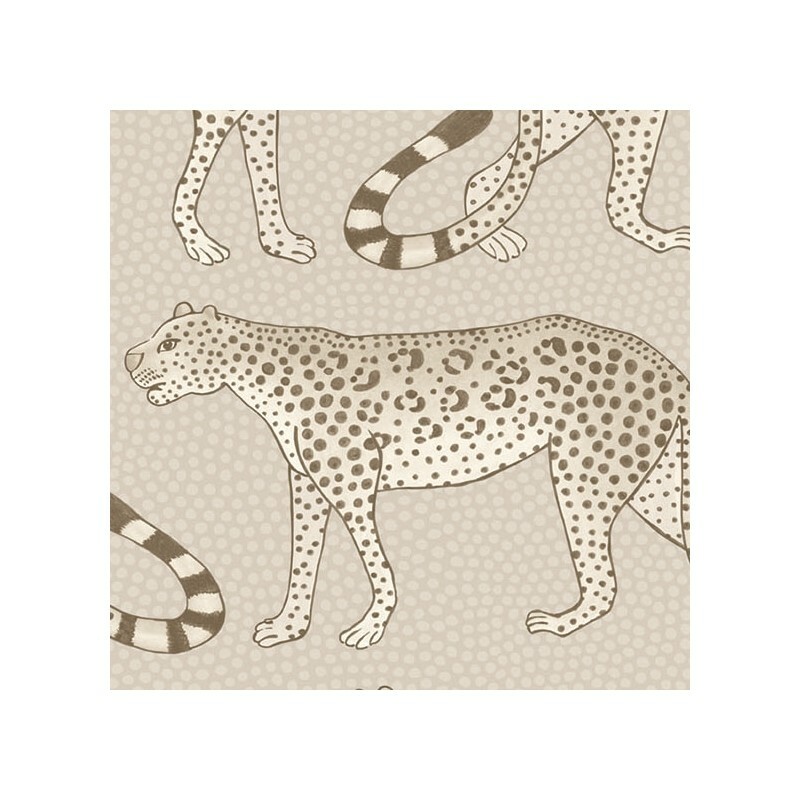 Leopards march left and right across this wallpaper, their tails forming patterns and rythms associated with Zulu dance and music. 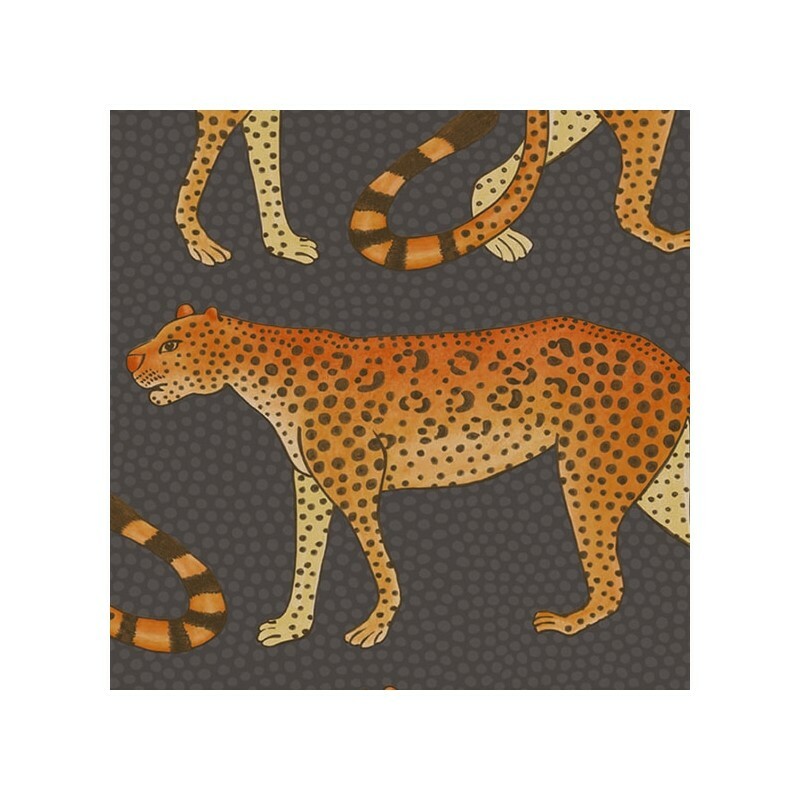 Leopards march left and right across this wallpaper, their tails forming patterns and rythms associated with Zulu dance and music. 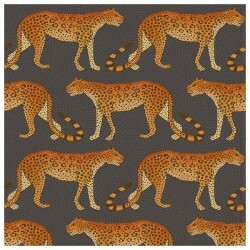 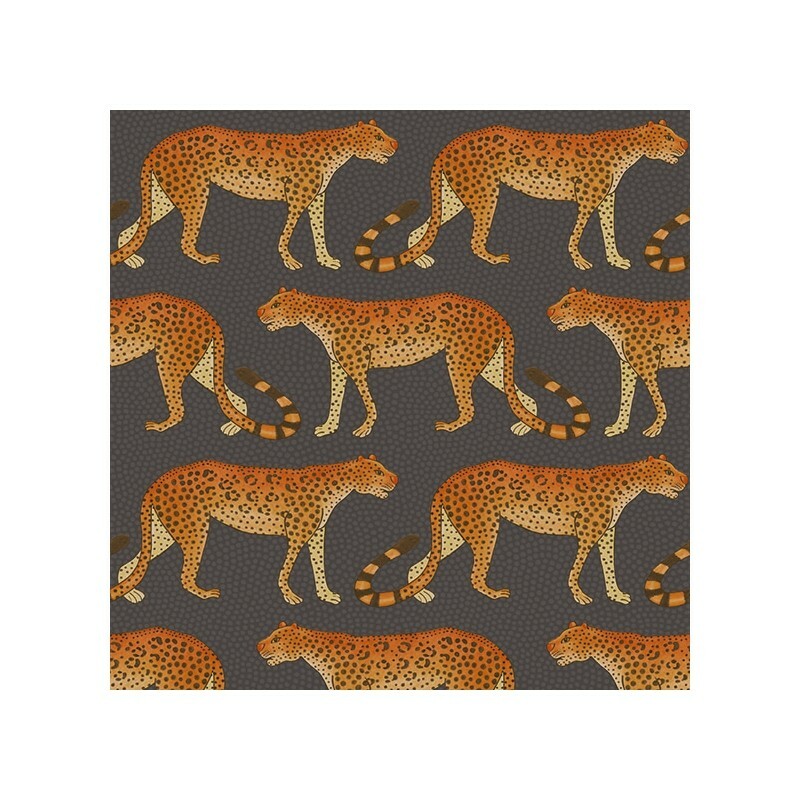 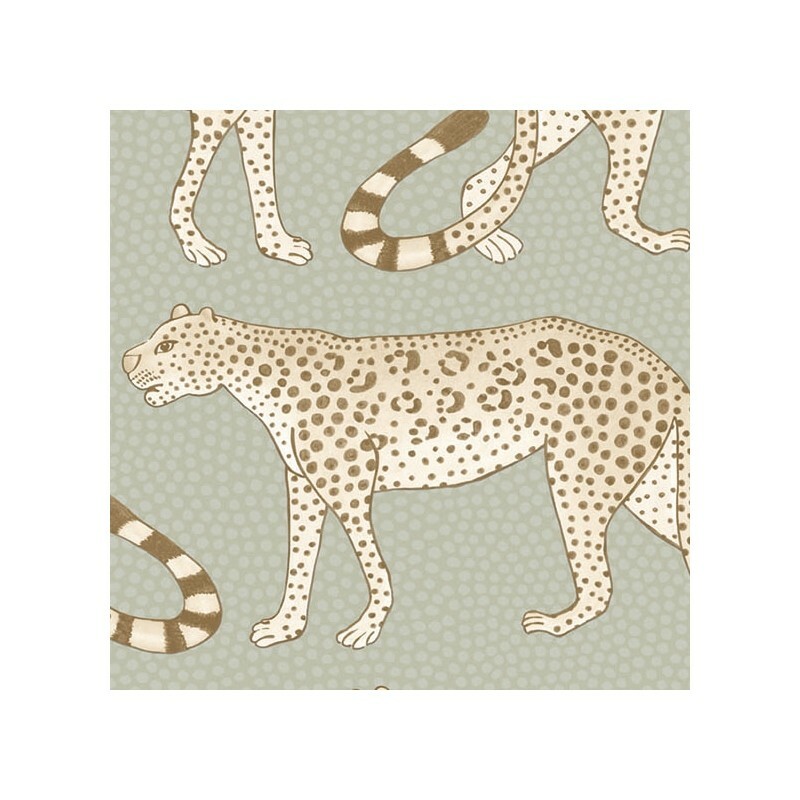 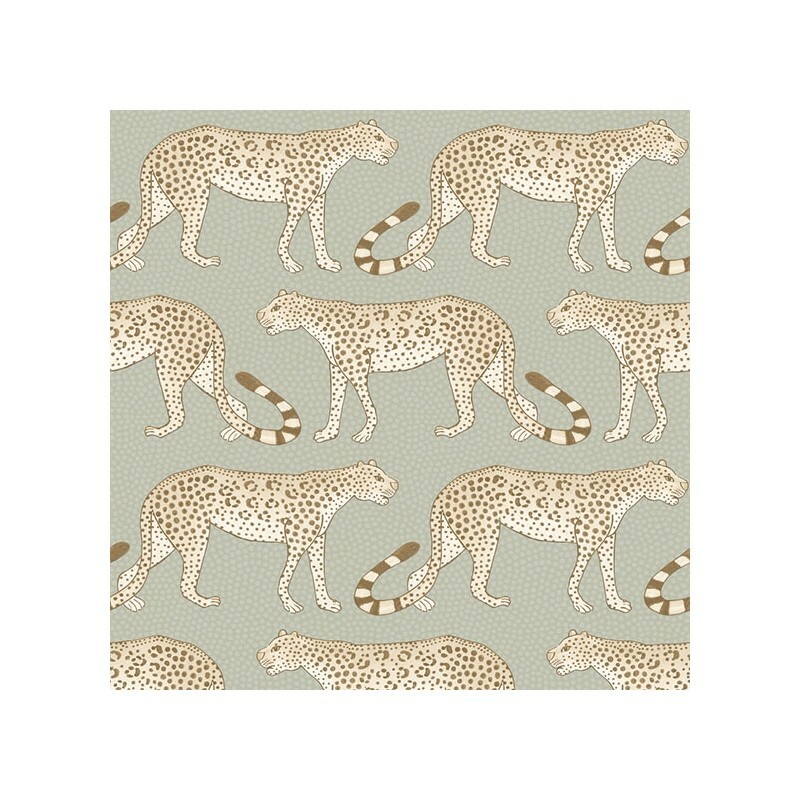 Originally painted by Punch Shabalala, one of Ardmore’s oldest and most esteemed artists, Leopard Walk is a simple yet striking design offered in five colourings including soft greys and taupes, a striking balck and white and a rich and moody charcoal with burnt orange, almost fire-lit leopards.